He’s the alter ego of popular X-Men character Wolverine, and a popular choice for a child in recent years. Thanks to Amanda for suggesting her son’s name as our Baby Name of the Day: Logan. Hugh Jackman’s character can’t take credit for this name. Long before Marvel ever dreamt up the X-Men, Logan was a Scottish surname, from the Gaelic lagan – little hollow. There’s at least one still on the map today, in Ayrshire. 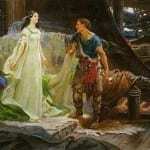 There’s also a Scottish Clan Logan, and a corresponding tartan or three. Benjamin Logan commanded the militia in Kentucky during the American Revolution, and later helped organized the drive for statehood. Stephen Logan was a law partner of Abraham Lincoln, and later helped fund Lincoln’s presidential campaign. Thomas Logan was a Confederate general during the Civil War. Post-war, he built railroads in the South. Outlaw Kid Curry, of Butch Cassidy and the Sundance Kid’s Wild Bunch, was born Harvey Logan. General Edward Lawrence Logan served in the Spanish-American War and World War I. Boston’s Logan International Airport is named after him. There’s also early twentieth century essayist Logan Pearsall Smith, one of many who received the surname as a given name over the years. Wolverine can’t take credit for making his name popular, but maybe another work of science fiction can. 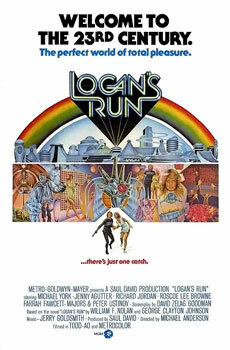 William F. Nolan and George Clayton Johnson published Logan’s Run in 1967. In brief: a huge increase in population means that the Earth’s population is only allowed to live to a certain age. On a designated birthday, each person is required to report to be euthanized. Not everyone complies, and Logan is one of the enforcers who hunts down those who flee. Until, inevitably, Logan’s time is up – and he decides to make a run for it. It became a movie in 1976, earning an Academy Award for special effects. As a given name, Logan started to gain traction. He’d been on the fringes of the US Top 1000 for years, but in 1973, he ranked #969. By 1976, he’d climbed to #779, and by 1977, Logan ranked #588. The name kept climbing as sequels and a short-lived television series debuted. Back to the X-Men franchise. Wolverine has been around since the 1970s, and has had his own comic book since the 1980s. We eventually learn that Logan was the surname of his birth father – there’s a whole story there. By 1991, Logan had reached the US Top 100, and I’d guess that few parents who choose the name are thinking of the sci fi connections. After all, it’s been a surname from 24’s President Logan to The Bold and the Beautiful. Veronica Mars’ love interest wore the name, and Rory on The Gilmore Girls also had a long romance with a Logan. All of this makes him a solid choice for a son. The numbers confirm it – Logan has hovered around the Top 20 for the last few years. You won’t be surprised to meet a Logan, but it will be a name that wears well, from childhood into adulthood. 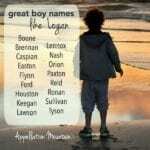 It’s an everyboy name, one that has outrun his sci fi origins to become a twenty-first century staple. Logan reminds me of log houses and the surname Hogan all at once. Very masculine. I have heard it on a little girl, but it seemed as fitting as Leroy or Robert. Like everyone else, I’ve met several boy Logans, and all seem to wear it well. It feels like the next generation of Landon. Great name! My first thought was Logan Bruno from the Baby-Sitters Club books. That was my first thought too. I’m a child of the 90s!